Calvert Hall coach Donald Davis joined some elite company by guiding second-ranked Calvert Hall College to a convincing 40-7 victory over archival Loyola Blakefield in the Turkey Bowl at Johnny Unitas Stadium in Towson on Thanksgiving. Davis claimed his ninth win in the last 10 years in the storied series, matching venerable coach Augie Miceli for the best record in a 10-game span for a Cardinal coach against the Dons (6-4) in the 99 years the game has been played. Moreover, Davis propelled his team to a program-best 12th win against one loss while reducing Loyola’s lead in the all-time mark between the two Towson-area all-boys Catholic schools to 49-42-8. For those who believe that Davis was unwise to schedule such an important game against Archbishop Spalding in the Maryland Christian Schools Invitational last Saturday, he proved otherwise. As a heavy favorite coming into the game, Calvert Hall knew it needed to start fast and stay on top instead of giving the Dons any hopes of pulling off an upset. Calvert Hall’s Cole Herbert (#1) spins into the end zone with one of his three touchdown receptions as Loyola’s Kaire Umoja defends. To that end, Calvert Hall put together a seven-play, 65-yard opening drive capped on a 23-yard touchdown pass from sophomore quarterback Amir Jenkins to junior wideout Cole Herbert to take a 6-0 lead and then added another score on a 2-yard plunge by junior running back Cobie Floyd on its next possession with just under five minutes remaining in the first quarter to lead 13-0 early. The second drive was set up on an interception by junior defensive back Ty Trinh. The Cardinals had another golden opportunity after senior defensive back Duran Kelly recovered a fumble at the Loyola 37 on the ensuing kickoff, but the Dons’ defense held and they took over on their own 19. Loyola then drove to the Calvert Hall 26 on an 11-play drive that stalled when Loyola junior athlete Jordan Moore was run out of bounds for a 3-yard loss. Prior to that, Moore caught a 19-yard pass from senior quarterback Jeffrey Snider while two runs by freshman Micah Robinson that totaled 32 yards highlighted the Dons’ best drive of the half. It was all for naught, however, because the Cardinals took over and went on a 12-play drive fueled by back-to-back runs by senior running back Sean Tucker for 25 yards and then finished an a 10-yard pass from Jenkins to Herbert just inside the goal-line pylon to push the lead to 19-0 with just under five minutes left in the half. The Dons then turned the ball over for the third time in the half on a sack-and-strip by junior defensive back Tre’ Jordan that gave the the Cards the ball at the Loyola 18. Senior tackle Billy Wooden was also in the sack. Jenkins promptly ran a keeper 11 yards to the Dons’ 6 and Tucker, who racked up 114 yards on 14 carries in the first half and finished the game with 177 yards on 25 attempts, took three runs to eventually punch it in from the 1 with five seconds left in the period to give the Cards a 26-0 halftime lead. Loyola came to life on the first possession of the second half, with Snider finding freshman wideout Ben Schleiff for 24 yards and 15 yards were tacked on for a face-mask penalty. Snider bucked the line on fourth down to keep the sequence going. However, a sack by senior defensive ends Nick Lenon and Keith Powers stopped that drive in its tracks before Calvert Hall failed to convert a 4th-and-1 to give the Dons terrific field position. 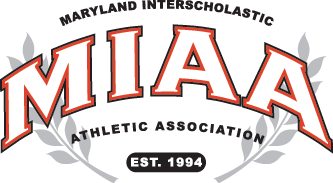 Although Calvert Hall held again, Loyola fashioned a seven-play, 61-yard drive two possessions later to get on the scoreboard for the first time with 48 seconds left in the period on an 8-yard pass from Snider to Moore. Loyola’s failed onside kick gave Calvert Hall a short field which Tucker made even shorter by picking up 23 yards. On the next play, Herbert, despite being well covered, made his third TD grab from Jenkins to push the lead back to 33-7. The icing on the cake for the Cardinals was a 38-yard touchdown pass from backup junior quarterback Sean Ketchen to senior tight end Pete Marchineck to nab the largest margin of victory for Calvert Hall since a 35-0 victory in 1976. The Dons, in addition to Moore, showed that they have some talented younger players — sophomore running back Adrian Russell, Schlieff and Robinson — who should have an impact in next year’s centennial edition of the series.